It should come as no surprise that Pokémon Go -- a game that's entranced millions, including on-air news anchors, on-duty cops, and Justin Bieber alike -- is the most popular mobile game in history. 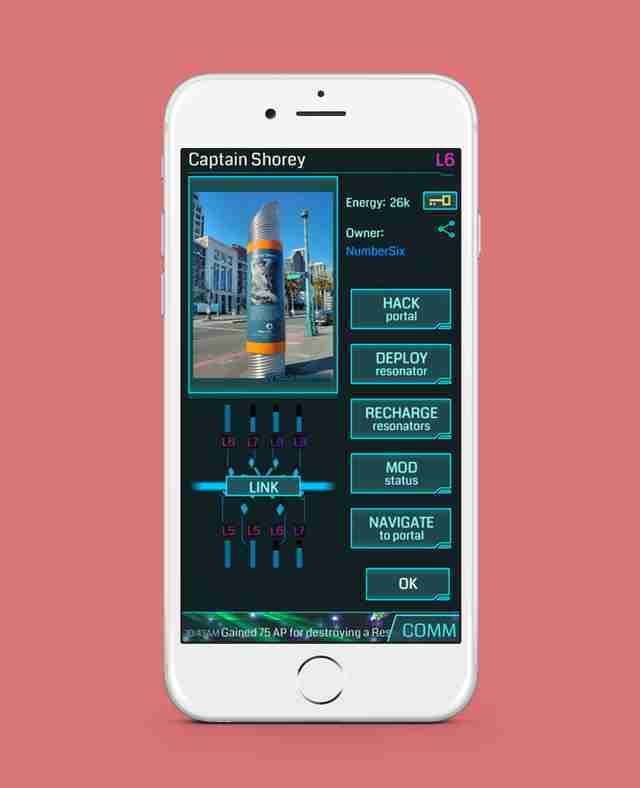 And while it has certainly introduced augmented reality to many for the first time, it's not even close to the first mobile game to meld the virtual and real world in an engaging way. In fact, a handful of other AR games that came before are arguably better. So, if you've got the PG bug -- and even if you don't -- you should take a moment to check out these alternatives. Like having an ever-present and all-knowing tour guide in your back pocket at all times, Field Trip runs in the background on your phone and pings you with an alert when you get close to a point of interest. It draws from an incredibly diverse database, from weirdly fascinating historical sites and super-cool shops, to underrated spots to drink and dine, all in an effort to help you uncover the hidden gems in your own 'hood and all over the world without doing any work. 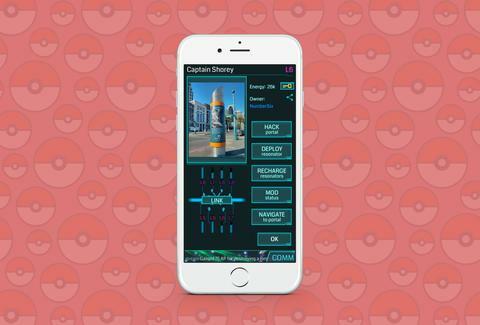 What it is: A "massively multiplayer" location-based sci-fi game where players fight to control real-world "portals"
Lots of people are comparing Ingress toPokémon Go, which makes sense since it was the first augmented-reality game developed by Niantic Labs, who also developed PG (and actually used Ingress user data to figure out where to put Poké Stops). In the game, players traverse their own cities, fighting to take control over "portals" -- real-life locations around the world that are often points of interest in a given city or town -- and virtually build them up for your team. It's quite a bit more complex than that, but that's the basic gist. It may not be Pokémon-popular, but with 7 million players globally as of 2015, it's figured something out. Geocaching is an activity in which people use GPS to locate tiny "caches" other people have hidden all around the world. Before you get too excited thinking there are capsules filled with gold bullion buried all over the globe, chill: a typical "cache" is nothing more than a waterproof container containing a piece of paper signed by the people who've found it before you, and maybe some worthless trinkets they left behind. Also, you're supposed to put the cache back where you found it once you've seen what's inside (so, catch 'em all, then put 'em all back). 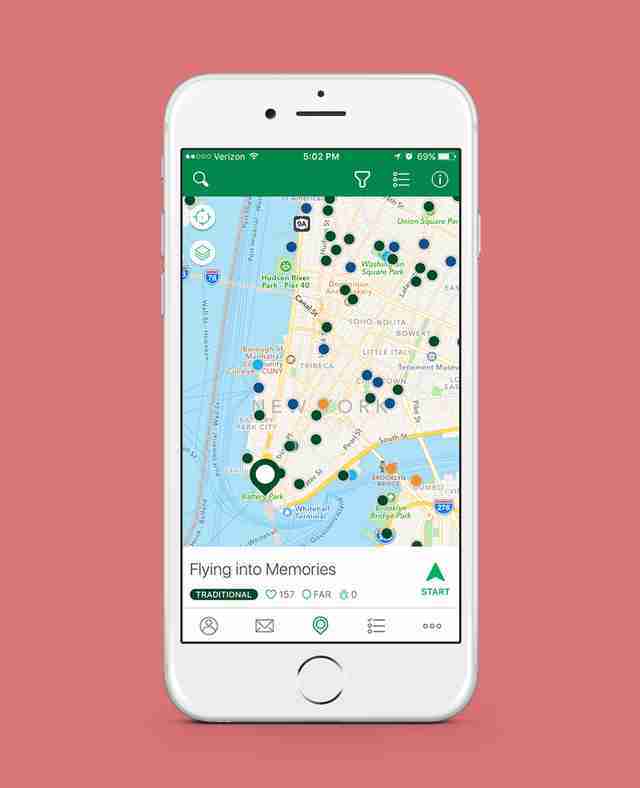 Anyway, it's a hobby adored by many, and this official app essentially serves as a universal treasure map that'll help you track down caches wherever you are. Rather than queue up just your workout jams to get you motivated to sweat, Zombies, Run! 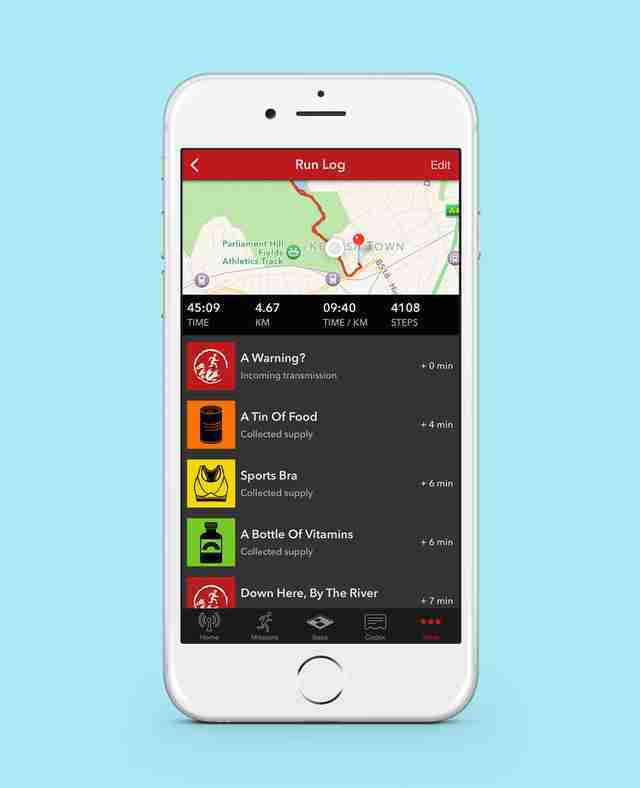 harnesses location data to transform your casual jog into a mission to evade and defeat the virtual undead. At various intervals, your playlist will be interrupted with a creepy medley of zombie groans approaching while a narrator warns you to speed the hell up. Odds are this one'll whip you into shape much faster than searching for Snorlax will. 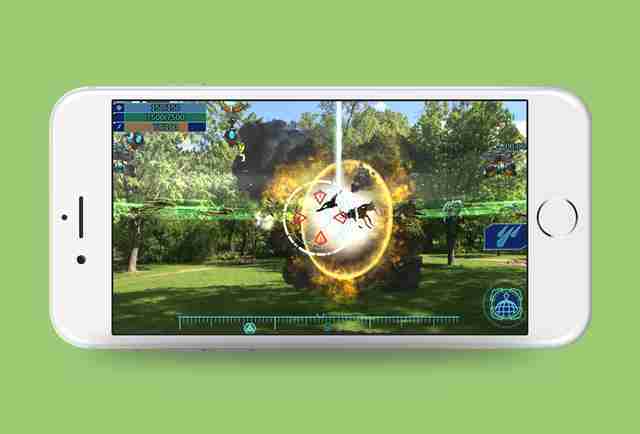 If you prefer more of a shoot-'em-up augmented reality, this game is right up your alley. It transforms the world around you into an epic battleground of incessant alien attacks, which you must fend off using all manner of crazy weapons in order to protect your neighborhood -- and the world -- from some devastating apocalyptic virus. 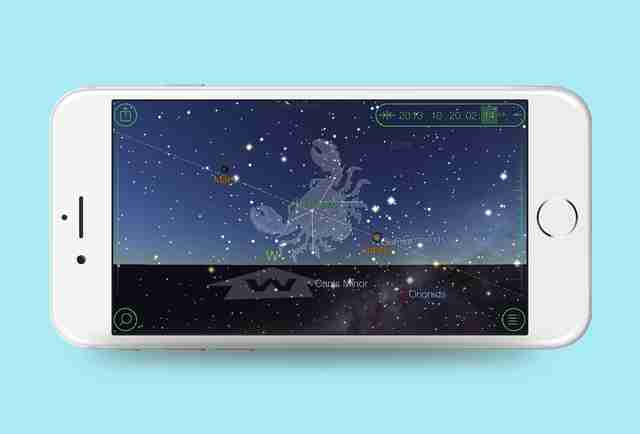 This app is your go-to astronomical atlas, harnessing precise location details to help you identify all the cool celestial bodies overhead, and even letting you fast-forward or rewind to figure out where and when you'll be able to see otherworldly stuff in the night sky. Joe McGauley is a senior writer for Thrillist and proud to say he hasn't made it past Level 1 in Pokémon Go, and doesn't care to.